All places are ideal to fell the vineyard, to drink a good wine or to taste the best of the regional gastronomy. Precisely 250 years ago, the traditional winery Quinta Nova, owned by the Amorim Group, was harvesting their first grapes. This is, undoubtedly, one of the oldest wineries in the Douro region, producing Port wine for the estate and for many other plots of farmers and neighbouring estates, given its large size. Quinta Nova invests 2% of its turnover every two years on the modernization of its wineries. One of the characteristics of the cellar is that it has a pneumatic press commonly used in the Champagne, which presses the whole bunch, always in the absence of oxygen. 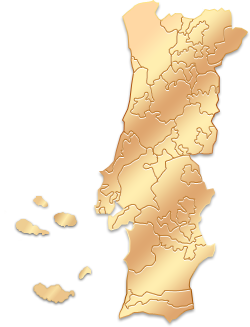 It should be emphasized the mechanized mill, which exists only in a few wineries in Portugal and worldwide. This equipment is distinctive because it doesn't immerse the grapes; it treads them instead, replacing the human foot. Quinta Nova also has a small traditional winery, called the "The Wine Studio". This winery has stainless steel vats and wooden barrels of 4 and 2 tons, all with temperature control. Luisa Amorim explains that the testing and investigation of 2000 and 3000 litres are made in here. A place where you can buy the products produced in Quinta Nova. A place where you can experience wine tasting of the wines produced in Quinta Nova. "Very happy with the information and conversations with the team, we adored our stay at Quinta Nova. In fact, it totally exceeded all our expectations!" "Everything was wonderful and our day trips to wineries we amazing. Especially the whole day at Quinta da Nova was incredible. With the help of your website made the planning of the trip much easier." The opening of Vintage Port bottles with a heated tong is something fantastic to see. The views to the Douro River, the wines and the vineyard, Everything Is AWESOME!! !